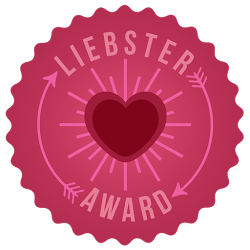 I’m incredibly excited to have been nominated for the Liebster Award by Ms B Travels and Live, Travel, Be Crazy, and would like to say a big thank you to both of them! I encourage you to check out their blogs too as they have very unique perspectives. Kati, the brains behind Ms B Travels, is a teacher, traveller and retired gymnast from the Southern US with a special interest in historical locations and doing handstands at every place she visits. It makes for a really cool set of photo souvenirs! She’s at http://www.msbtravels.com and is also on Twitter (@MsB_Travels) and Instagram (@msbtravels). Live, Travel, Be Crazy is run by a French student who has lived in South Korea, the UK and is currently in Sweden.Her blog focuses on Japan, South Korea, Paris, London, Oxford and Sweden. She blogs at http://www.livetravelbecrazy.com and is also on Twitter (@LiveTravelBCraz) and Instagram (@livetravelbecrazy). Answer the 11 questions given in your nomination. Nominate and write about another 5 – 11 blogs you like. Pick 11 questions for your nominees. 1.Would you rather sail or fly around the world and why? Sail! Provided I have plenty of seasickness medication. The chance of seeing whales and other pelagics that don’t usually come closer to shore would be irresistible. 2.What location have you been to that actually disappointed you? You’ll probably think I’m crazy, but it’s got to be San Francisco. My friends all rave about it, but my lasting impressions of SF are: chilly weather, dirty streets and the smell of urine. The first neighbourhood I visited was the Mission District, so if you’ve been there, you’ll understand. I also remember vividly parking near the Golden Gate Bridge (to get some good nighttime shots), getting out of the car – and immediately going back in. It was just too cold and windy! I also saw a couple of tourists running past huddled under towels. 3.What location has surprised you the most? Bangkok. Prior to being sent there for work, I never had any great desire to visit. I only knew it for its cheap shopping, massages etc. In reality, Bangkok is also home to a rich cultural heritage. 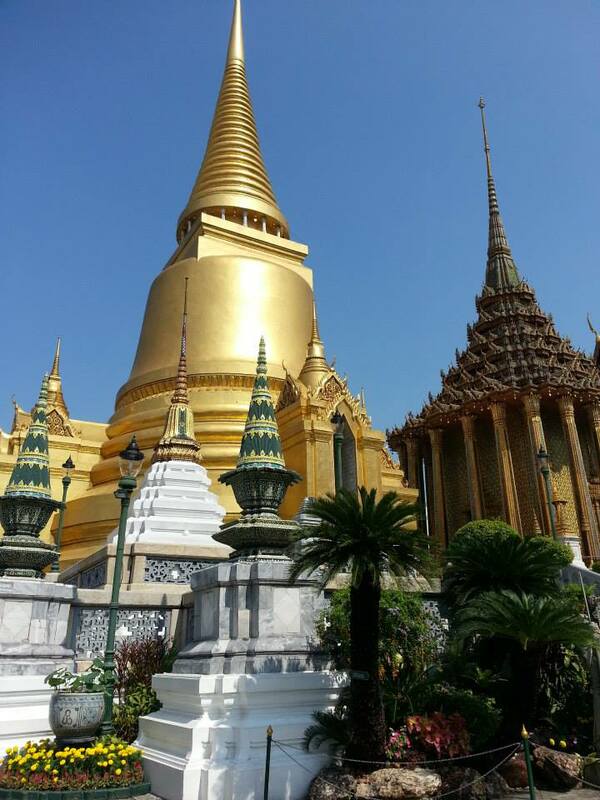 My favourite things to do include visiting the Grand Palace (which lives up to its name) and other numerous temples along the Chao Phraya river as well as enjoying the amazing food. The food is generally very good, regardless of cuisine – Thai, Italian, French, you name it. And really cheap! 4.What country that you’ve visited is your absolute favourite? Thailand, hands down. I’ve fallen in love with BKK (see above), hiked mountains in Chiang Mai, and seen a whale shark while diving in Koh Lanta. 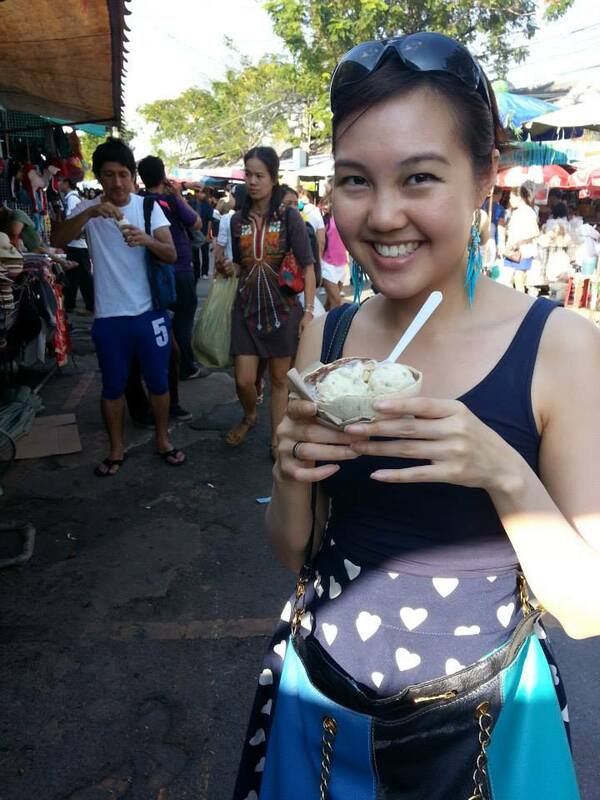 Not to mention the friendliness of the Thais, the low cost of living and the amazing food! 5.Why do you love to travel? Singapore is a small country – smaller than New York City! We all have passports, because we would go stir-crazy if we never left our tiny island. 6.What are you giving up to travel? I don’t shop much, I’ve stopped taking riding lessons (one of my favourite things in the world), and my savings are definitely less than what they could be. 7.What is your favourite travel tip? I like AirBnB! It’s usually cheaper than hotels and and the profits go to the local community. I don’t really get the hate for it. Vlad from Effitimonholiday eloquently captures why. 8.If you could take one famous person on your travels with you, who would you choose? Qin Shi Huang, to see the world through the perspective of the guy who unified China! I think the modern world would blow his mind. 9.Do you prefer to travel alone, in a group, or in pairs? I’m most used to travelling with my boyfriend, so that’s my default mode of travel. 10.What is the #1 biggest lesson you have learned while travelling abroad? I’m by nature a bit of a control freak, but travelling has taught me to be a bit more relaxed and go with the flow – you can’t control everything, and things usually sort themselves out. 11.Where is your next adventure? 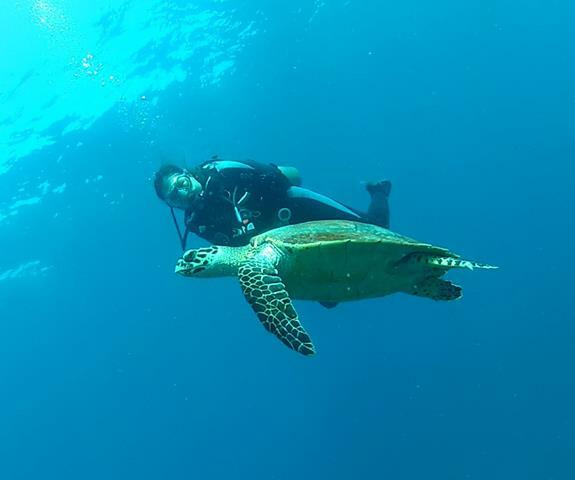 Off somewhere nearby for a bit of diving before going to Ecuador to volunteer as an English teacher! I’ve never been to South America before and am really excited (as well as a little bit scared). I hope you enjoy their blogs as much as I do! Claire and Dave are a young British couple on a round-the-world (RTW) trip – they’re currently in the US after spending a few months travelling through Peru, Bolivia and Brazil. 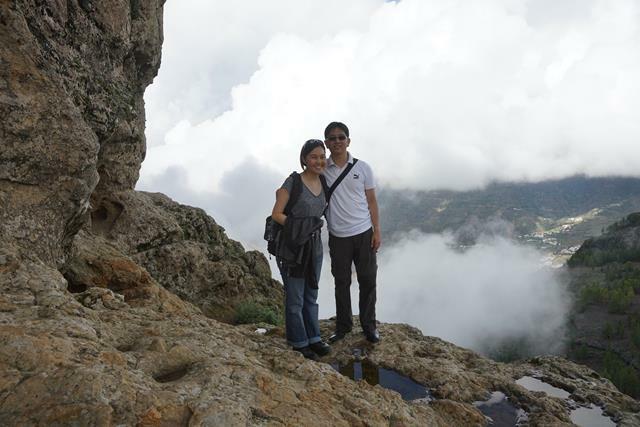 They’ve had some incredible (and not-so-incredible) adventures, which they write about on their blog. I particularly love their bizarre bus stories and their series on country-specific quirks. 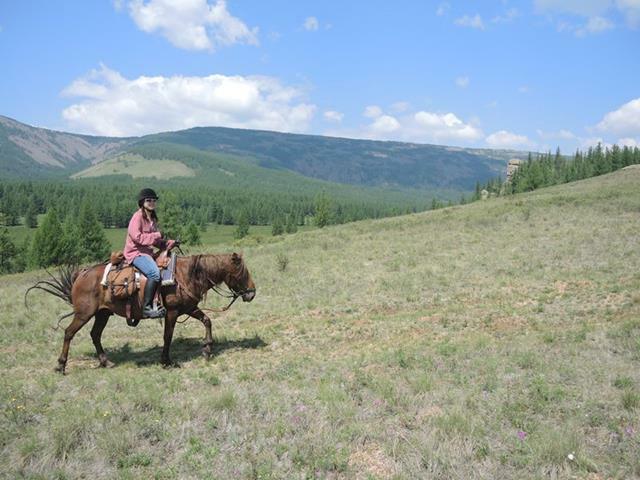 Ellie focuses on travelling in a mindful and sustainable manner. Her message, of considering the impact of our actions wherever we are, is one that everyone needs to take to heart. “If our current travel trends continue, then there will be no beautiful quiet sandy beaches left to discover, no coral reefs and clean oceans left to enjoy.” Check out, for example, easy ways to travel sustainably and sustainable travel tips for Marrakech! Melanie is a high school teacher in South Florida. Her eclectic blog is a refreshing read – she blogs about her adorable French Bulldog (seriously, he’s too cute! ), food (including recipes which I’d love to try out sometime) and many other topics in addition to her travels. I adore her Motivational Monday series – we all need some motivation on Mondays! As the name suggests, The Travelling Seamstress focuses on travel, sewing… and baking too! (I have great respect for those who sew as I’ve tried my hand at it!) She’s currently based in Canberra, but has travelled all through Europe and lived in London. I enjoy reading about her travels and associated life lessons such as these travel lessons from Prague. These chocolate Ferrero Rocher cupcakes also have me drooling and dying to try them out! Ellen is from Tasmania, Australia and currently lives in Istanbul. She’s been to some pretty cool places that are off the beaten track, not just in Turkey, but also in India and Europe. I hadn’t even heard of Kotor, Montenegro until I read her 10 reasons you should go there! Likewise with Mostar, Bosnia and Herzegovina. Her blog and Instagram feed are awash in bright colours and just looking at them transports me to a happy, sunny place. How much time a week do you typically spend blogging? What has been the best part of your blogging journey so far? Conversely, what has been your least favourite part? Do you think blogging has had a positive impact on the way you travel? What is your favourite place in the world, and why? Is there any place you want to revisit? What is your favourite travel memory / experience? What is one unlikely travel essential of yours? Spread the love, won't you? Congrats! Sorry to hear you were disappointed by San Francisco. It is definitely a surprisingly cold place, but I do enjoy my time there. One of my favorite places is Golden Gate Park, maybe check that out next time you are there? Thanks for the recommendation! I did take a quick walk through Golden Gate Park but it sounds like I need to see more of it! Yes. Lots to see there. I do have a blog post with highlights. Congratulations! Lovely blog by the way! Thanks!! 😄 Love your blog too! Thanks so much for the nomination! It’s great to hear your thoughts about San Francisco and Bangkok; they are literally the next two places we are headed to. No problem, Claire! I’ve been enjoying your farmstay pictures. Hope I didn’t put you off San Francisco – many people really do love it, including Anisa from Two Travelling Texans who commented above. Hope you enjoy both SF and BKK! Thanks so much for including me in your list! I really enjoyed your post and look forward to answering your questions in my post! Thanks for stopping by! If you enjoyed reading, why not sign up to get updated directly? Christmas at Dunham Massey in Manchester, England: Is It Worth Braving the Cold and Rain?